On September 21, 2014, in an Indian city just inland from Goa, Vishwanathan Jayaraman began his morning as he often did: with a barefoot marathon. He left his house by bicycle shortly after 4 a.m. “It was near pitch dark with the anorexic moon hiding behind a veil of clouds,” he wrote online. A few miles into his ride, he passed an electrical transformer “muttering to itself and spitting fire sporadically.” Soon, Vishy had parked his bike at a temple and began to run. Nineteen kilometers in, he took off his shirt and reflective vest, keeping on only his handspun shorts; 27 kilometers in, he encountered two children who asked his age (53); at the turnaround point, he handed a farmer some vegetable scraps he’d carried with him to feed the man’s bulls. At 9:23 a.m., after four hours and 47 minutes, he finished what he deemed “a very fulfilling and nostalgic run” in front of the temple, where the worshipers greeted him with wide smiles. And then Vishy—who had over the course of a couple of years logged and beautifully documented 14,456 miles of such long and colorful runs—went silent. The digital accounting of his training ended right then and there. At the time, though, I took no notice of Vishy’s departure, because I, too, had abandoned the run-logging website and app we were both using: DailyMile.com. At its height, the Daily Mile community pulled in 2 million unique visitors every month—impressive when you consider that Weiner and his co-founder, Kelly Korevec, built the site on their own, with no venture capital. But then, sometime in mid-2014, something went wrong. Garmin, the maker of GPS watches for runners and cyclists, updated the software that let you upload a workout, and all of a sudden I couldn’t transfer my runs to Daily Mile. I kept running, of course, but stopped sharing my training, and I wondered whether I’d ever find a digital home as welcoming as Daily Mile. Garmin’s own logging software, Garmin Connect, made sharing difficult. I signed up for RunKeeper and MapMyRun, but hated the interfaces. Nike+, which I’d used before I found Daily Mile, was bug-ridden and poky. Then I tried Strava. I’d heard a bit about the fitness app beforehand—that it was mostly for cyclists, especially arrogant dickheads who used Strava’s leaderboards to compete for “King of the Mountain” titles on steep hills around the world. Strava and its uber-aggro users, I’d read, had even been blamed for the deaths of a cyclist in Berkeley, California, and a pedestrian in New York’s Central Park. Was this a community I wanted to be part of? What Strava’s reputation didn’t prepare me for was what a fantastic system it is. Uploading workouts from my phone was nearly seamless. No longer did I have to plan routes and assign them to specific workouts—Strava knew if I’d run a particular route before, and could tell if I was doing it faster or slower. More than that, it knew if another Strava user was running that same route at the same time, helping make connections between everyday athletes whose schedules and abilities coincide. Strava’s analytical capabilities are robust, too. Those willing to spend $59 a year on a premium membership can break down their workouts a number of ways to understand, say, how much they ran at tempo speed vs. at VO2 Max, adjusting for the grade of the ascent or descent, and tracking heart rate, if they’re wearing a monitor. (For cyclists, Strava also tracks wattage.) A “suffer score” reveals, roughly, how hard you were working out. There’s enough raw data there for a moderately geeky athlete to pore over for many idle hours. The interface, meanwhile, is smooth and logical, defaulting to a Facebook-style feed of “activities” (runs, rides, swims, etc.) from the people I follow, a mix of actual friends, running acquaintances, and famous folks. Sometimes I comment on their workouts, or simply give them “kudos” (the Strava version of a “like”); sometimes they do the same on mine. The look is uncluttered, with none of the distracting ads or silly badges Strava’s competitors seem to feel is essential to the workout-app experience. Strava feels like an app for grownups. In short, Strava is it right now—the only app that serious runners and cyclists need to bother with. By “serious,” I mean you’re not a couch-to-5K-er: you run or bike because you like it, and you don’t need to rely on automated voices in your ear for encouragement, and you want to get better by tracking your performance over time—and sharing those details with friends and strangers alike. And there are millions of such users already. Strava won’t give out a precise number of daily active users, but they did say the system receives 11 million activities per week, with 78 percent of its members outside the United States. In May, the system logged its billionth activity when a German triathlete swam 1,850 yards in 44 minutes and 25 seconds. Membership is only growing: Strava says it’s adding new members at a rate of 1 million every 40 days, and with new features being unveiled this fall, Strava is about to cement its position as the epicenter of social exercise, if it hasn’t already. When Strava debuted, back in 2009, it was not obvious that this was going to happen. While Gainey says it “quickly took off,” things really changed in 2011, when Strava launched its first mobile app. Today, in 2017, when mobile is everything, it can be hard to remember that, even four years after the iPhone debuted, the online world did not yet revolve around what could fit in your pocket. Not even Strava’s founders predicted how things were going to change. “Frankly, once you were downloading an app, your entire experience was going to be there—we had many members who weren’t even going to our website,” Gainey said. 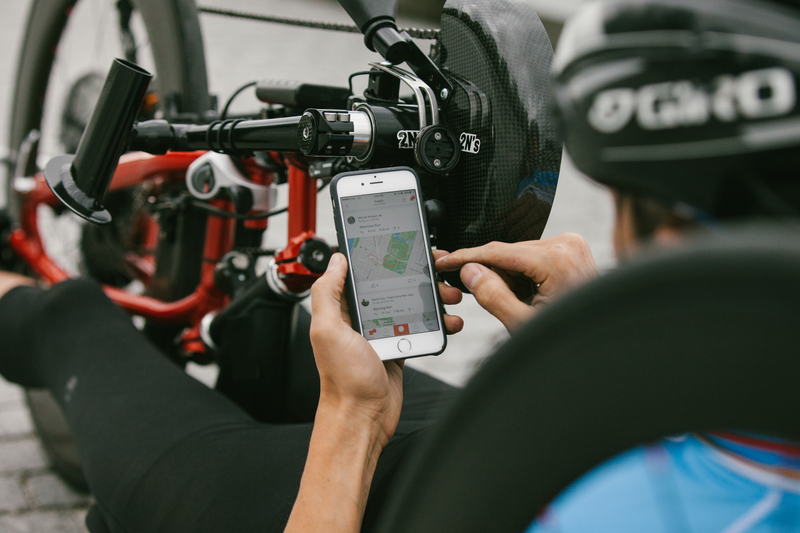 From there on, Strava was all about mobile. In 2012, Strava introduced a separate app for runners, who’d previously had to hack their workouts onto the bike-focused system. In 2014, the company merged them back into a single multi-sport system. Today your Strava workouts can be listed as anything from canoeing to Crossfit to rock-climbing to wind-surfing. Creating an app that can encompass all those different activities is one thing. But what made Strava so compelling—or, depending on your point of view, addictive—is the segment feature. The key to the segment feature, Gainey said, is that it was a way for Strava users to break those climbs down into segments and give them names—and then automatically display users’ times on a public leaderboard. So not only could you see how well you performed on a particular slope, you could see how friends and strangers did, too. Segments accomplished two things: It was a technical, performance-based feature designed to measure and enhance your training—and yet it also fostered the kind of social community-building that Strava says was always its mission. And what I love most is that it works automatically—once someone builds a segment, anyone who runs, bikes, swims, or standup-paddleboards across it is instantly recorded and added to the leaderboard. I don’t have to do anything but sprint down that pier near the Brooklyn IKEA to get myself ranked—and notice that some fellow named Illya Tarasenko has sprinted it one second faster than me. So, yes, Strava fosters perhaps needless competition among total strangers. But it also makes us—or at least me—want to meet those strangers. Will I cross paths with Tarasenko at an upcoming race? Might he be someone whose schedule and abilities make him a person I’d want to run with regularly? And is James Monaghan—who ran that pier sprint one second slower than me—asking himself the same questions about Matt Gross? But it also enables real connection. When I signed up for Strava, the system searched through my contacts and informed me that Grant Baxter, a banker I was friends with in the late 1990s and who’d moved from New York to London maybe 15 years ago, was also a Strava member. We wound up following each other, commenting on one another’s workouts, and someday, I’m pretty sure, we’ll wind up in the same place long enough to run together. The type of social experience Strava offers has, however, changed somewhat in the last year, and is poised to change considerably in coming months. For one thing, Strava’s clubs have begun to make a mark. The clubs are, well, clubs—a way of organizing groups of runners or cyclists (or whatever) via discussions and planned workouts, which get pushed into the feeds of club members. Strava says there are 193,000 clubs today; 28 percent of all Strava members are in at least one club. Perhaps because they’re easy to join: I spent a good chunk of this summer in Taipei, so I joined three different Taiwan-based Strava clubs. Now I’ve picked up some Taiwanese followers, and we give each other kudos wherever we happen to run. Neat. Publications such as Outside, Runner’s World, and, yes, Men’s Journal have also formed their own Strava clubs, and frequently use the club discussion tool not just to prompt chatter among their members but to promote articles from their websites. (If you’re reading this on Strava: Kudos to you!) None yet has a particularly enormous following (Runner’s World is the strongest, with over 13,000 members), but the potential is clearly there—you’ve got millions of athletes from around the world who want to track and improve their performance. 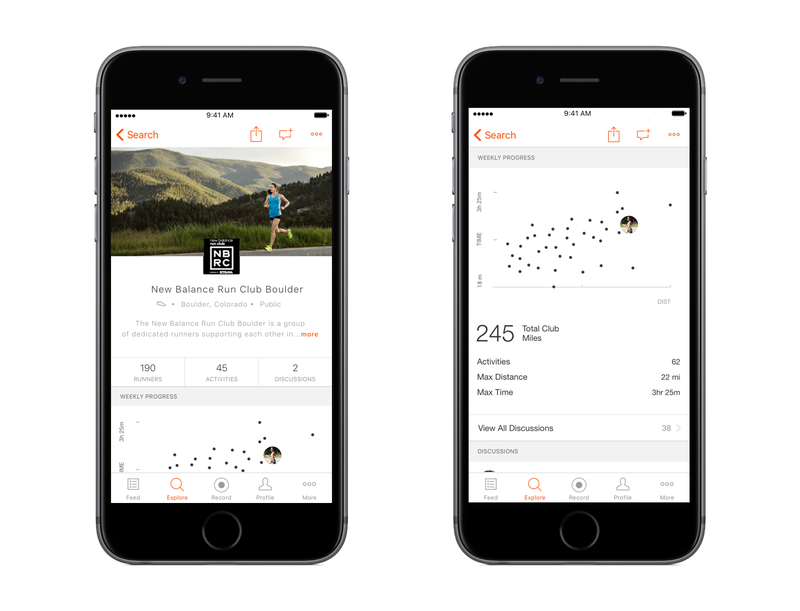 More significantly, Strava this spring introduced a new feature called Athlete Posts. It’s essentially a tool for users to create posts not tied to any particular workout. You craft a headline, write a few paragraphs (or a lot of them), maybe add a photo or two, and out it goes into your followers’ feeds. Yes, it’s a bit like Facebook—except that on Facebook, if your friends are anything like my friends, no one wants to hear about your plantar fasciitis or the precise ratio of honey to ice in your post-workout smoothie. 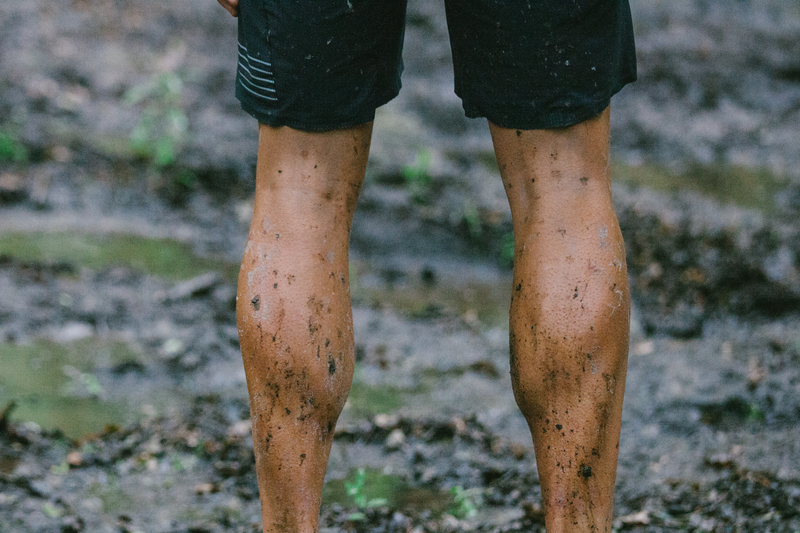 At first, Athlete Posts was only open to a select group of 36 athletes, among them the vegan triathlete Rich Roll, National Geographic photographer Cory Richards, and Black Roses NYC founder Knox Robinson. 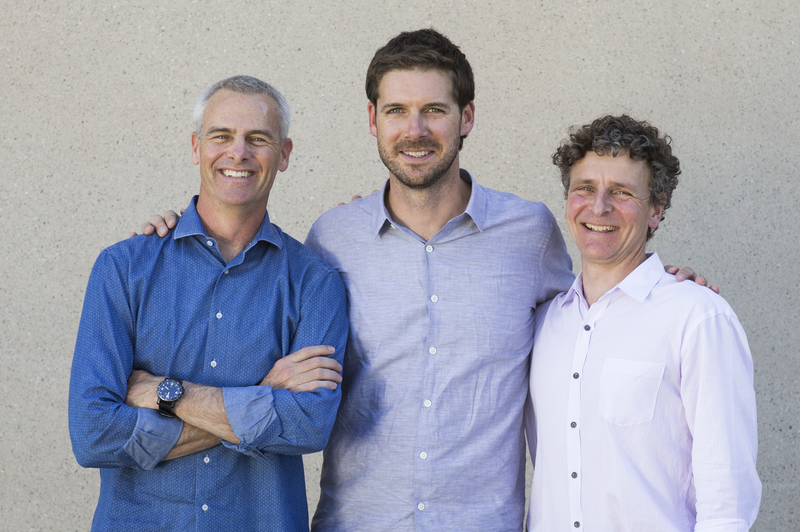 “What we stand for and everything we’re trying to do with things like Athlete Posts,” says James Quarles, who joined Strava as CEO in May after spending years at Instagram and Facebook, “is to open up and unlock the ability for people to share inspiration, motivation, and knowledge around these passions.” That is, you don’t have to be Mo Farah or Chris Froome to build a following—you just have to have an interesting story, worthy advice, and a compelling voice. Quarles points to Athlete Posts like the one from Lauren Fleshman, who won the 5K at the 2006 and 2010 USA Track and Field Championships, that announced her pregnancy—and sought advice from her followers about how to keep running when she didn’t really want to. “Trail[s] were a great excuse to SLOW down and enjoy being outside, and still be super social since the trail community is so ladiback [sic] and fun I didn’t want to miss out!” was one of the 43 enthusiastic responses. “The content that you’re gonna post in those posts is gonna be very specific to training, or where you’re at, or fitness-related—as opposed to Facebook or Instagram, where it’s gonna be baby pictures and all of that,” says Rich Roll, who famously overcame drug and alcohol troubles to, at age 40, dedicate himself to clean living and ultra-endurance competitions. So far, Roll, who has nearly 13,000 followers, has posted about getting enough rest (“We love to competitively share our sessions here on Strava. But what if we translated that competitiveness into how we rest?”) and his smoothie routine (“tons of organic veggies and fruits, always starting with dark leafy greens”). But… that’s it. He hasn’t posted since May 8, although his Strava training log is up-to-the-minute. In fact, several other of Roll’s cohort don’t really post much apart from their workouts. Which isn’t to say it’s a failure—just that some may find that Facebook or Instagram suit their voices or audiences better. The real test is imminent. 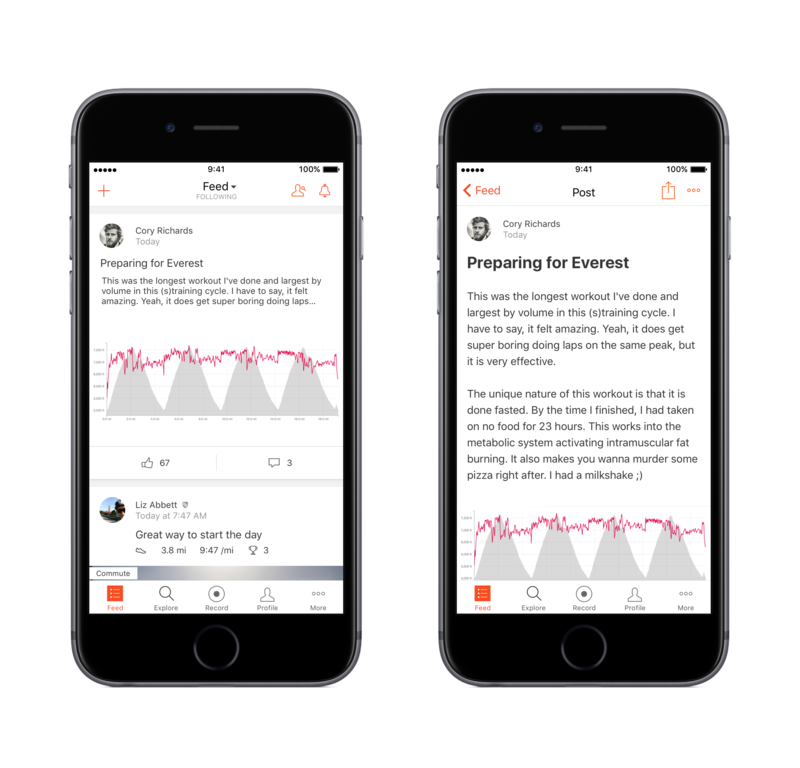 Strava opened Athlete Posts up to select regular users in late August, and this fall the feature will become available to everyone. At that point, Strava could potentially shift from being a community-minded workout app to becoming an exercise-minded social network. Maybe then posts about leg cramps and spaghetti recipes will really take off, because then we’ll be reacting not to well-known names like Roll but to our own friends, acquaintances, and workout buddies. Or maybe we’ll all realize that what we really care about is seeing how far or fast people run and bike. My guess is that the breakthrough Strava users won’t be athletic pros like Roll but social media stars, both established and nascent, like Casey Neistat. You know Neistat. He’s the sunglasses-wearing vlogger who snowboards through the streets of New York and crashes his bike into obstacles in bike lanes. Dude also runs, and last November (apparently) he joined Strava. Today he’s got 36,000 followers—not quite as many as mountain runner Kilian Jornet or Lance Armstrong, but for a non-elite athlete, it’s, like, a lot. Most of what Neistat (who did not respond to requests for an interview) uses Strava for is what anyone uses Strava for. He runs (“a quick 5K in the rain” or “sunset run tonight ?”), usually adding a selfie, and sometimes with a companion (often Catfish creator Nev Schulman). His workouts reliably generate a ton of kudos and comments (“Awesome bro!!! ??? ?”), none of which he ever seems to respond to. Already, he’s building his following, and with Athlete Posts he could probably create even more content they’d love. Given his relationship with brands like Nike, he could probably turn those followers into a new revenue stream. Whether he’s the first to monetize his Strava following, he likely won’t be the last. Just as Instagram proved you don’t have to be a professional photographer to get paid for your photos, Strava’s expansion into full-on social media may show that you don’t have to run like an elite runner (or even sub-sub-elite) to get paid for your running. In the not-far-off future, all you may have to do is present an image of athleticism that connects with an audience. For that future to arrive, though, Strava needs to advance its posting tools. Because, let’s face it, headlines, text, and photos are what bloggers had access to back in 2003. Facebook-style automatic link previews would be nice, but video—whether recorded or live, or maybe Instagram-style “stories”—could be the feature that entices the Casey Neistats of the world, or helps create new ones. At the same time that Strava builds out its social-media tools, it has to be careful not to abandon the serious athletes who’ve made it what it is today. I do, I think. What scares me (and also excites me!) is that Strava will decide to support the new Garmin Running Dynamics pod, which can measure how long each of my feet stays in contact with the ground, and how high I bounce with each step, and then I’ll spend even more non-running hours gazing into the abyss of numbers and graphs, attempting to scry a magic strategy for improving my half-marathon time, and then plotting a catchy headline for the next workout, and wishing I liked running with a phone, so I could shoot images of the view from the end of that IKEA pier in the winter, all for the satisfaction of my 65 followers. That scares me. But do you know what I do when I’m scared, or anxious, or stressed out by the increasingly complex and mind-numbingly silly requirements of this age? I go for a run to clear my head. Occasionally, I don’t even wear a watch. At Strava, they like to say, “If it’s not on Strava, it didn’t happen.” But you know what? Vishy’s not on Strava. In fact, he’s not on anything more advanced than Blogspot, where he’s continued chronicling his barefoot marathons, though not as assiduously as he did on Daily Mile—and not at all since March, when he got injured. “Just when I was thinking I had perfected the art of watching my steps and skimming the surface,” he wrote, “a sharp prick on the sole of my right foot nearing the end of my run a few days back jolted me.” Glass shards. Ugh. Vishy’s better now, his blog tells me—though it tells me nothing about his miles and times and the people and animals and gods he’s encountered on his runs. And that’s fine. That’s Vishy’s running life, and it plays out online just as he wants it to. His blog doesn’t have to be Strava, just as Facebook doesn’t need to be Twitter. The digital world is just like the real one, fragmented ad infinitum yet woven together through a billion mysterious fractal strands, and we move sweatily through it as we like, at times barefoot and shirtless, at others tethered to twinkling satellites and undersea fiber-optic cables. The important thing is that we move. Still, Vishy’s stories would make for some damn fine Athlete Posts.